Young Adults in Fort Wayne, Indiana? No Problem! 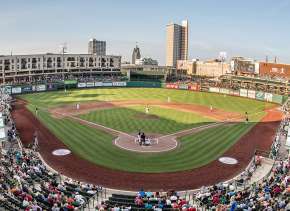 Posted on February 06, 2019 at 12:00:00 pm by Emma C.
I used to think to be a teen in Fort Wayne, Indiana was difficult, but there are so many activities, especially during the summer, that are perfect for young adults! Regardless of your age or where you’re from, never be afraid to stop by the Visitors Center! The visitor specialists can help you find something to do around town no matter what you like to do (and maybe even give you a deal too). 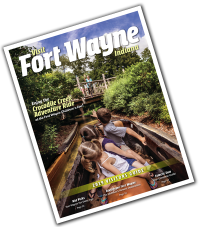 So if you are a teen or just want to feel like a kid again, Fort Wayne is the place for you! For those who like the outdoors, of course, there are lots of trails to explore, on bike, or foot. What many may not realize is that you can paddleboard, canoe and kayak right on the Fort Wayne’s three rivers! Head over to Fort Wayne Outfitters and they can set you up with everything you need for a fun day on the water. 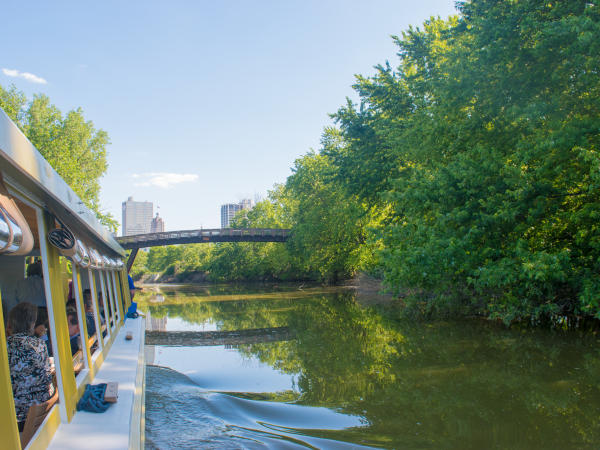 They frequently offer fun activities like guided paddle trips and yoga on the Wells Street Bridge. For the less adventurous, opt for a fun ride on the canal boat. Lazer X, Combat Ops and UltraZone are your arcade and laser tag destinations. 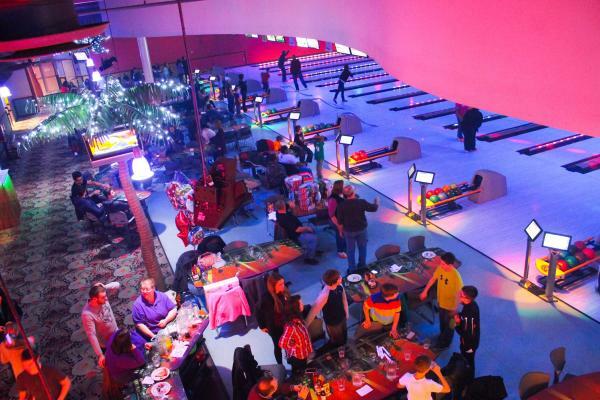 Bowling at Pro Bowl West and Georgetown Entertainment Center never disappoint. Crazy Pinz Entertainment Center and Sky Zone Indoor Trampoline Park are always great ways to spend an active afternoon. Plus, take a skate around SportONE / Parkview Icehouse on Friday, Saturday, or Sunday during their open skate time! Test your knowledge and puzzle skills as you take part in the live action gaming experience at some of Fort Wayne&apos;s Escape Rooms. Assemble your team, choose a scenario, and solve the puzzle by finding hidden clues before time runs out in an hour! This activity is perfect for individuals of all ages, and groups of all sizes! Fort Wayne summers are infamous for its festivals. We love celebrating our cultures, food, rivers, and more! 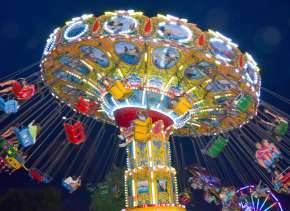 Check out our lineup of festivals and events coming to our area soon! With so much activity, take some time to enjoy a sweet treat! Check out any Zesto location for classic soft serve in a cone. Amazing ice cream is not hard to find here. 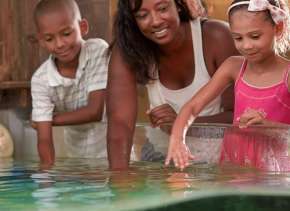 So whether you&apos;re traveling with teens or you yourself are a young adult, don&apos;t fret, there are plenty of ways that everyone can have fun in the Fort! This post was originally published in February 2018 and has been updated. 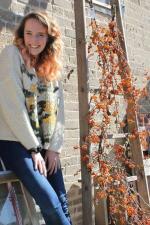 Emma is currently a student at Indiana University studying Journalism and Political Science. When the former Visit Fort Wayne intern isn’t hitting the books she can be found spending time outside hiking, running or longboarding. While visiting her hometown, she always makes sure to check out the latest gallery at the Fort Wayne Museum of Art and to order her favorite chai in the city at Old Crowne Coffee Roasters.